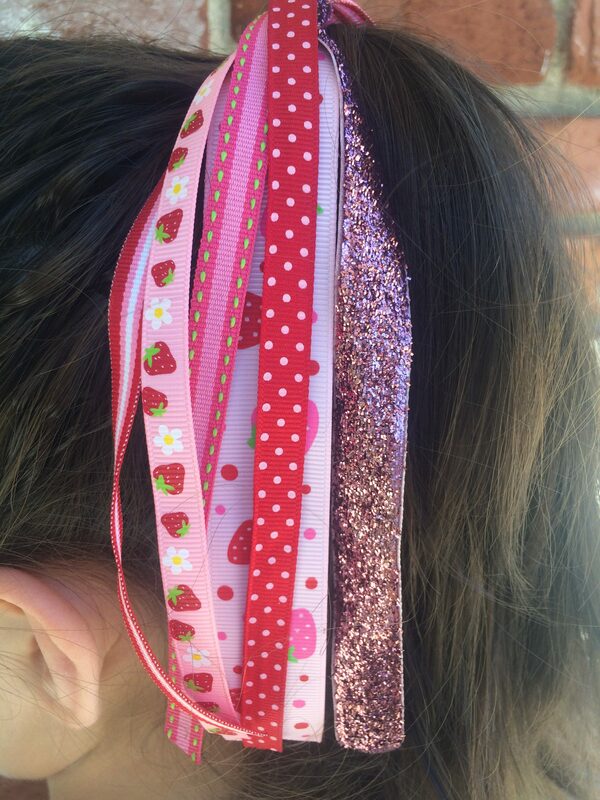 You will receive one single or a set of two strawberry ponytail streamer. 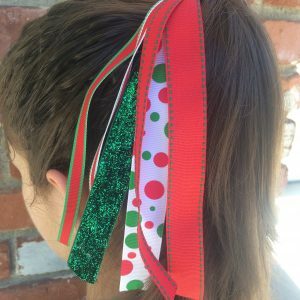 I created these with red/pink Swiss dots, pink/lime stitch, pink/red stripe, strawberry print and pink glitter ribbon in various widths. 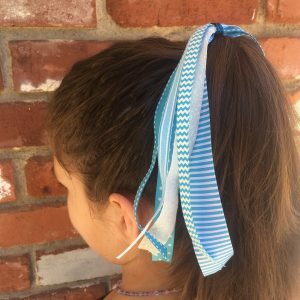 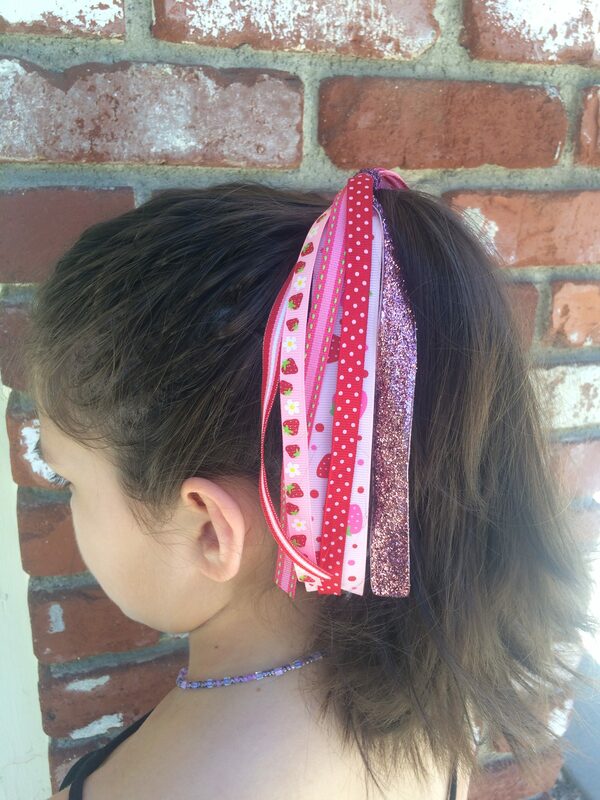 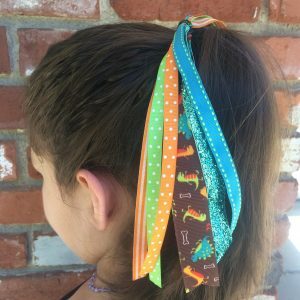 Streamer is hand stitched onto a metal free hair elastic. 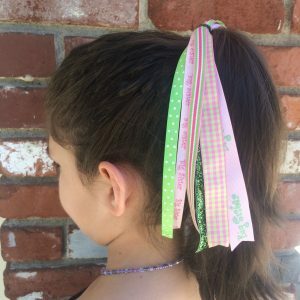 Ribbons measure approx. 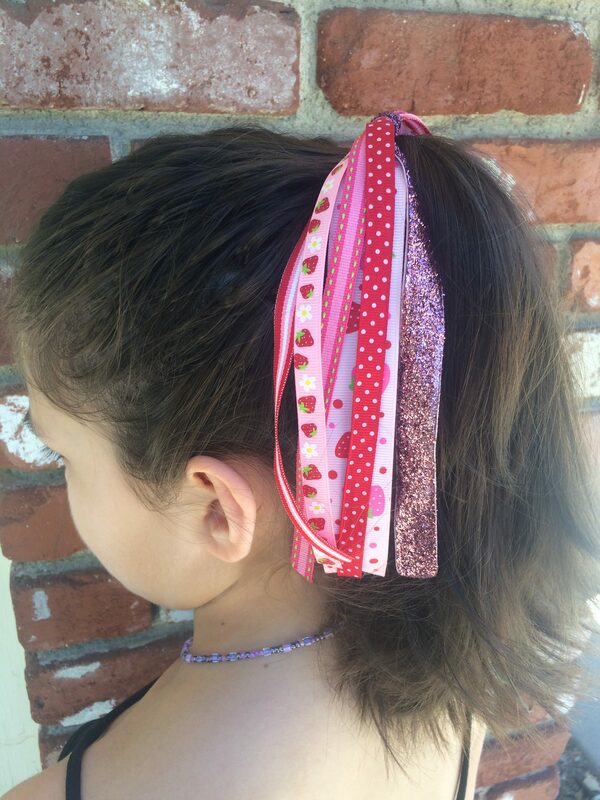 7 inches long on each side.